I just developed another film from my trusty Mamiya RB67. 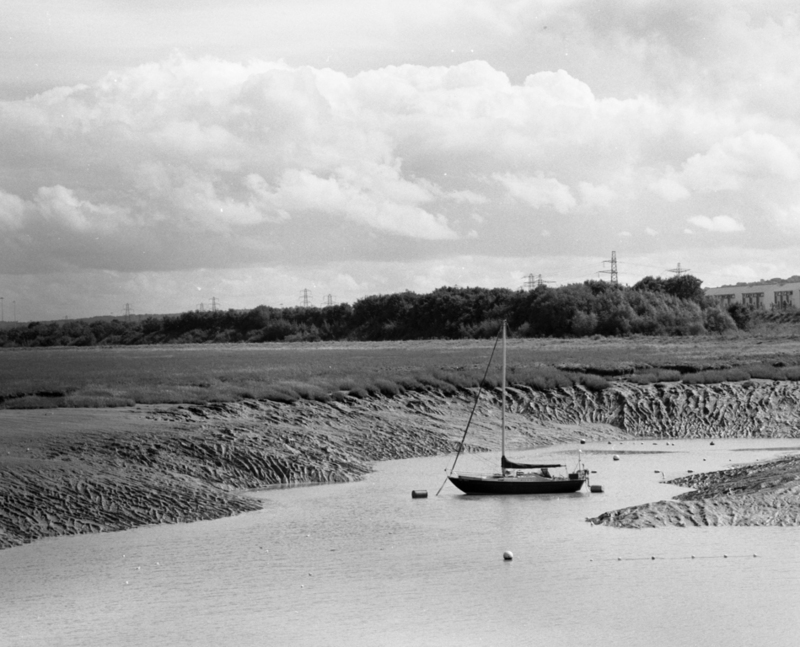 These pictures are from “here and there”, not too far from Bristol. The garden wall is in my own garden. 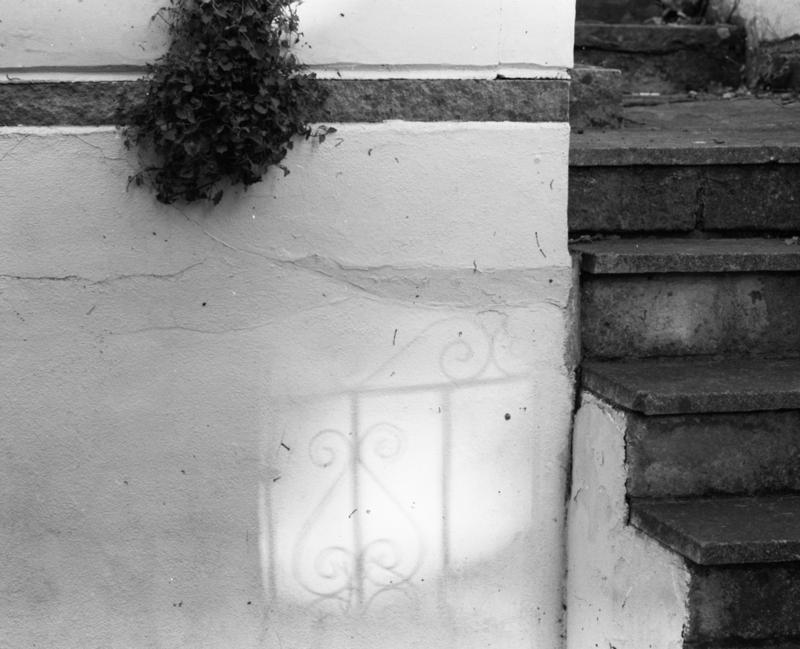 As the sun shone down the side of my house, the gate cast an unusual, shimmering shadow on the wall. The picture didn’t quite capture the magic, but I still like it. 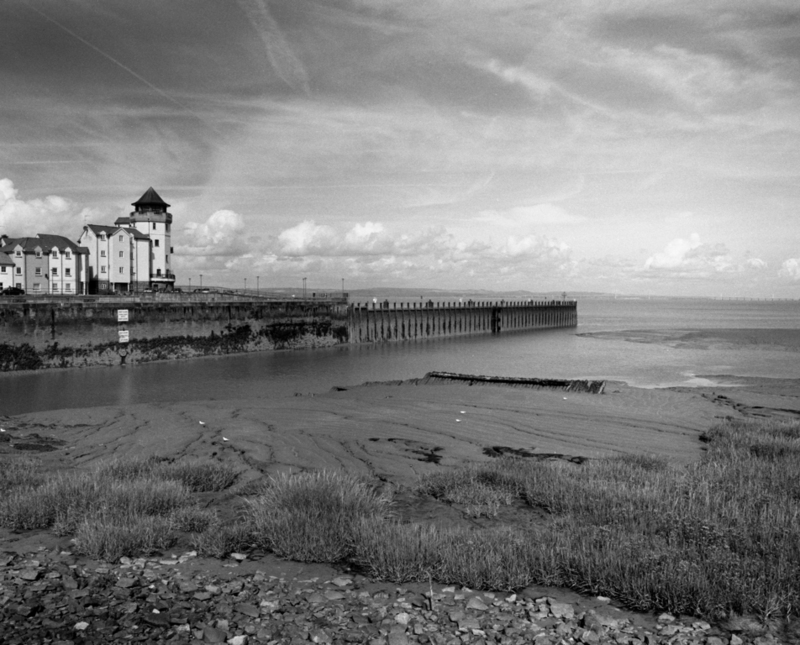 Two of the pictures were taken in Portishead. I spent several hours walking around the marina and pier and these were my two favourites. I also shot quite a few colour slides but these haven’t been processed yet. Hopefully they’ll appear here before too long. 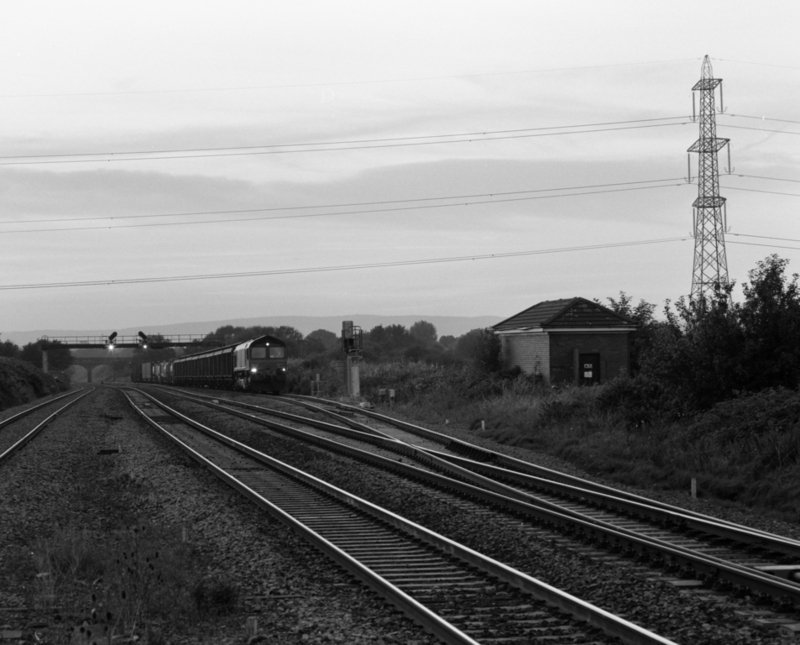 Finally, the last picture is of a freight train called 6A29 waiting near Pilning station. I don’t know much about trains but I went with my friend Ed who is a signalman and knows his stuff. He’s writing a book about railways and needed a picture of this particular train to complete the collection. I tagged along and asked plenty of stupid questions – all in all, we had a good time, although it did get rather cold after the sun went down!